Here at Urban Wellness we use a machine to keep up with our pre roll demand. 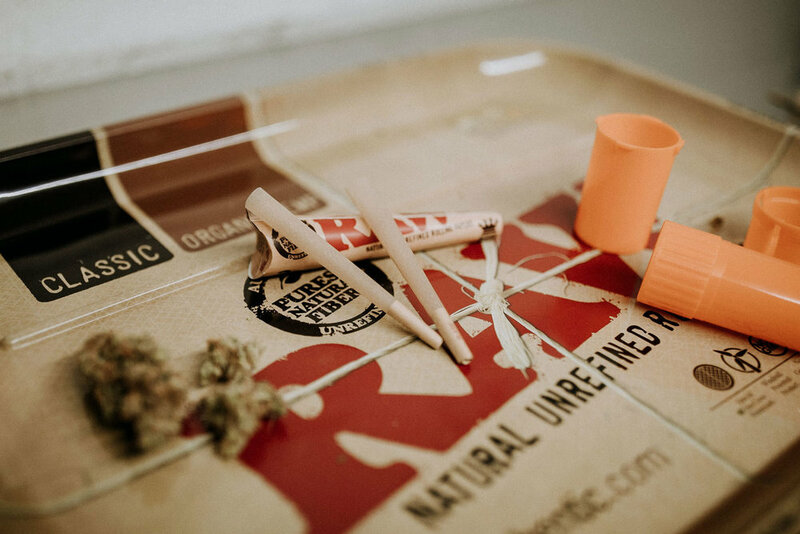 To get the same result when rolling your own joint, follow these instructions to achieve the same results. Pick some of your favorite Urban flower. You can’t go wrong with the Urban's selection as its all fire but if you need help deciding one of our friendly med tenders can point you in the right direction. We pride our self with our high quality hand trimming so you don't have to worry about leaf material however you will want to De-stem and remove as much stem as possible from your rolling material. Grind down flower with grinder to a workable material consistency. If you need a grinder, rolling tray or any other essentials we got your back just ask a med tender about our accessories. Twist or fold top of joint to ensure material doesn't fall. Don't forget to grab a Karma Koi lemonades at one of Urbans locations to fully enjoy your perfect joint.